EPA 28 MPG Hwy/22 MPG City! 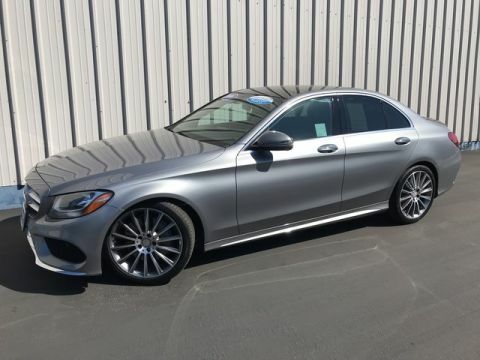 CARFAX 1-Owner, Mercedes-Benz Certified, ONLY 15,955 Miles! 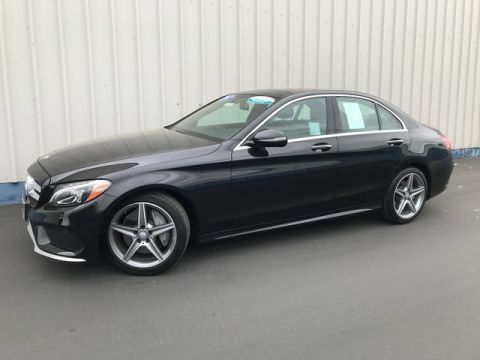 Moonroof, Heated Seats, Nav System, Turbo Charged Engine, Onboard Communications System, Dual Zone A/C, Back-Up Camera, Power Liftgate AND MORE!======KEY FEATURES INCLUDE: Power Liftgate, Back-Up Camera, Turbocharged, Onboard Communications System, Dual Zone A/C Rear Spoiler, Remote Trunk Release, Privacy Glass, Steering Wheel Controls, Child Safety Locks. ======OPTION PACKAGES: MULTIMEDIA PACKAGE Radio: COMAND® System w/Navigation, 8 high resolution LCD screen w/3D map views, enhanced voice control system, 10GB music register, single disc CD/DVD player, Gracenote album information including cover art, SD card slot, SiriusXM traffic and SiriusXM weather w/, COMAND® Single CD/DVD, Navigation Map Updates For 3 Years, DVD Coding, PANORAMA SUNROOF, PREMIUM PACKAGE 115V AC Power Outlet, KEYLESS GO®, Entrance Lamps In Doors, SiriusXM Satellite Radio, HEATED FRONT SEATS, BLIND SPOT ASSIST, WHEELS: 19 5-SPOKE Tires: 19 All-Season Run-Flat. 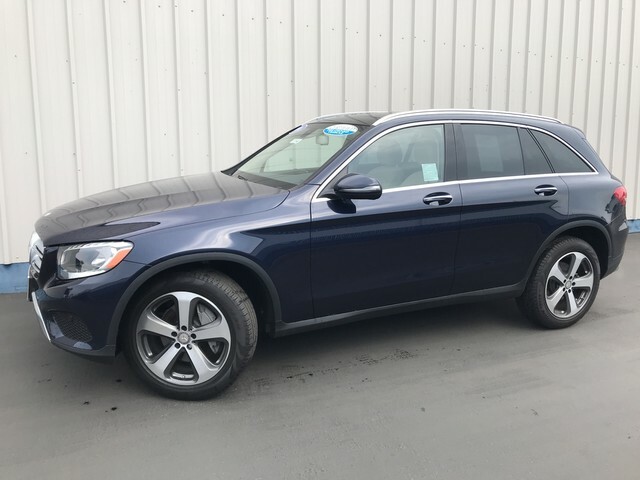 Mercedes-Benz GLC 300 with Lunar Blue Metallic exterior and Silk Beige MB-Tex interior features a 4 Cylinder Engine with 241 HP at 5550 RPM*. 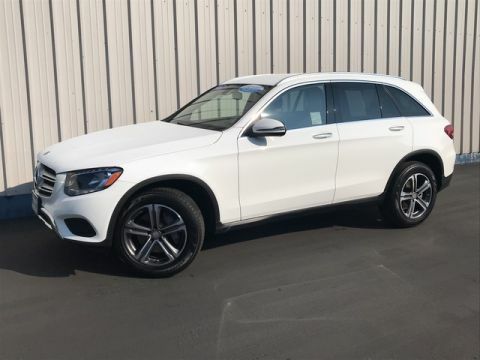 ======EXPERTS REPORT: Edmunds.com's review says We wouldn't blame you if you're mostly interested in the 2016 Mercedes-Benz GLC-Class for its classy styling Great Gas Mileage: 28 MPG Hwy. ======PURCHASE WITH CONFIDENCE: Balance of New Car Warranty plus 1 year/unlimited miles extended Limited Warranty, 24-Hour Roadside Assistance, Carfax Vehicle History Report, NO Deductible, Rigorous Inspection by Factory Certified Technicians, Exchange Privilege for 7 days or 500 miles, whichever comes first, Trip-Interruption Services Pricing analysis performed on 2/8/2019. Horsepower calculations based on trim engine configuration. Fuel economy calculations based on original manufacturer data for trim engine configuration. Please confirm the accuracy of the included equipment by calling us prior to purchase.